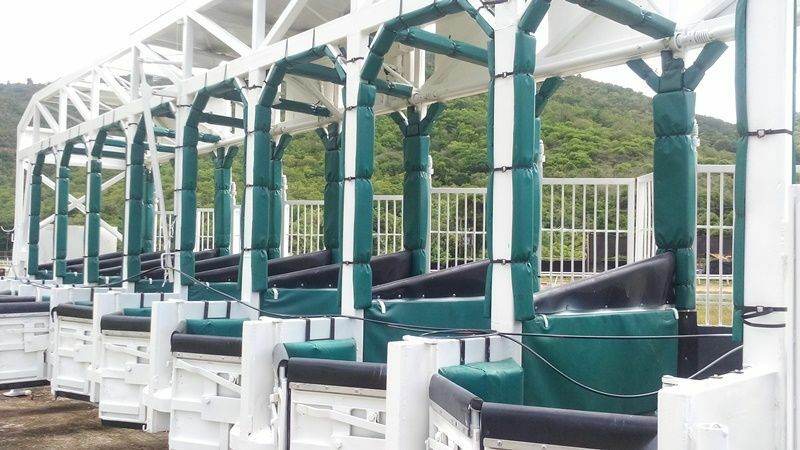 Ms. Lake, who used her own money to purchase the racetrack starting gate in 2016, told Virgin Islands News Online (VINO) in an exclusive interview that she first got a call from a horseman in St. Thomas and was told “the rumour is, I was not allowing the organizers for the boxing day races to use the starting gate, therefore they will have to send up the St. Thomas gate,” she said. Ms Lake said the gate may have been damaged, as they were flipped on the side during Hurricane Irma and Maria. And she revealed that it was moved from the adjacent to the running surface and placed closer to the stables for safe keeping. Ms Lake noted that the untruthful information circulating on social media is just that, “misleading and not true, while others involved in its dissemination have political motives”, she told VINO today December 25, 2018. Ms Lake said she has always supported horse races in the Territory for years. 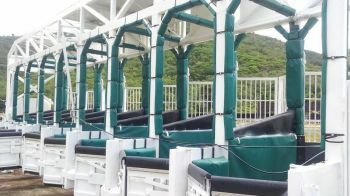 Current President of the BVI Horse Owners Association, Lesmore Smith, said he is "not aware of any controversy over the gate." The Boxing Day races are scheduled for Wednesday, December 26, 2018, at Ellis Thomas Downs in Sea Cows Bay, with post time of 2:00 PM. There are five races with a purse of $5000.00 for each race. Who does the gate belong to? “Question” READ. , she bought it with her own money! What a dumb as question. Who u for buddy? Why is Patsy not paying rent to keep her starting gate at the race track? Mr. President if you are not aware of any controversy then you didn’t you look with in island for a gate. I’m all for our locals to lead but when we are there we need to learn how to walk the walk for the best u tweets of our lovely country. Swallow our pride some my people. I may have missed somethings here. Help me, if you can. Firstly, could the follow up not wait until after Christmas day to be conducted? Secondly, Recognizing that the rumor may be malicious but I fail to understand how it could be POLITICALLY motivated.Think the writer should have cleared that up. Finally, there is seemingly an expectation that a request should be made by the racetrack committee on each occasion the gate is to be used. In all fairness it may be that the donor wants to retain control to avoid misuse / lack of care ( waste of her donated dollars) etc. If this be the case then the writer should have made it plain as the expectation seems odd otherwise and certainly make the doner appear to be unnecessarily controlling. If you didn't see the whatsapp msg that was circulated then you will be really lost. Why people does be so malicious and greedy ? Can't we just live as one and stop the vendictivess! Lord have mercy! Time is Short! Get out of your bad mindset for once...lets live and let live! Merry Christmas! that’s a tough cookie right they. Fight fight Nothing new. God help us all. Can’t the association buy a gate or pay Lake out for hers? If the gate was donated to horsing association when Mrs. lake was head why should members of the same association ask to use the gates for the purpose of horse racing. Then the gates need to be on her property and not on government property. Sounds stupid and petty. If you care so much about the sport you shouldn’t have problem with anyone who is trying to revive the sport here in BVI. If something is donated to a place it now belongs to the place. There should be no need to get the donors permission to use same. It’s all stupid and petty. My thoughts exactly. Was it donated or was it not? And if it was donated, then it belongs to the track. If it wasn’t donated, then what was the arrangement with the sweet little petty old lady? If it’s hers she needs to haul it One Stop Mall and use it there. So you bought the starting gates to hold the association hostage so they must 'ask your permission' each race, or you 'donated' the gates to the association for their use during horse race events? Which is it? Did Ms. Lake purchased the gate with her own money to be used only while she was president of the association or was it bought as a gift to the association for use its regardless of whom is president? If it were the former, it is petty and the it should be taken off government property and stored on the owner’s property. Either the government takes full control of the Ellis Thomas Down or outsourced its operation out to a private entity. In the interim, cooler heads should prevail and let the races begin. The BVI people needs a respite from its stress and strain. The 5th district candidate I know, he has served the people well in his role over traffic with integrity and innovation, so it isn’t a hard question whether or not it’s her over us. He is his own man. I applaud him for trying to continue to serve on a higher level. What patsy and her gate got to do with him?